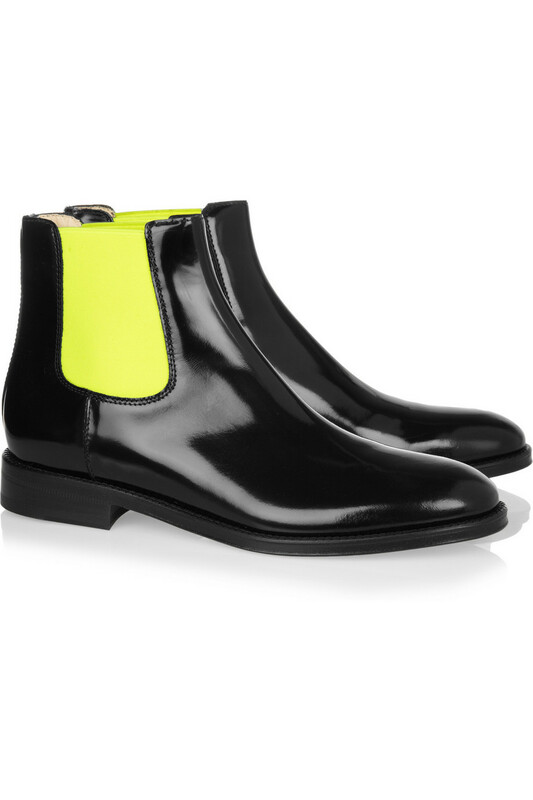 Today's So Shoe Me is the Fluoro Polished Leather Chelsea Boots by Christopher Kane, $1045, available at Net-a-Porter. 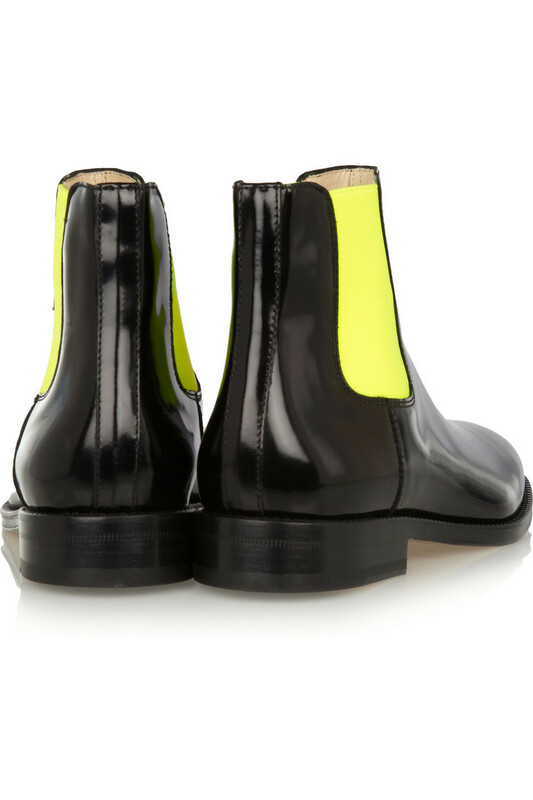 Add a punk touch to your everyday style with some classic leather chelsea boots with an eccentric electric edge. The patent leather upper and classic black sole create a luxe basic perfect for wearing all day and night. The signature neon sides offers comfort and stretch in a glowing shade of highlighter yellow that will add a jolt of color to this everyday style. Pair these boots with minimalist basics for a clean cut style for the new year. So Shoe Me a pair of electric accented chelsea boots that add a signature touch to a classic must-have style.